The 93rd Legislative Session is officially over, with both chambers adjourning sine die at 12:41 p.m. on Monday, March 26. It’s a tradition that at final adjournment, the doors to the House and Senate are opened so the presiding officer in each chamber can watch across the Rotunda and both pound the final gavel at the same time. Legislators in the 2018 Session approved slightly over half of the 535 bills that were introduced. This does not mean there are that many new laws on the books! For example, one of the bills I brought in this year, which was approved unanimously, repeals more than sixty sections of outdated law dealing with local roads. Three other bills I brought in, which were also unanimously approved, are amending current laws to bring them up to date. In addition to regular bills, there were also 19 joint resolutions introduced this year. According to legislative rules, a joint resolution may be used to refer a matter to the voters, to place a constitutional amendment on the ballot, to ratify proposed amendments to the U.S. Constitution, or to grant a water right in excess of ten thousand acre feet annually. Only three of the joint resolutions passed, and will be presented to the voters for their consideration. 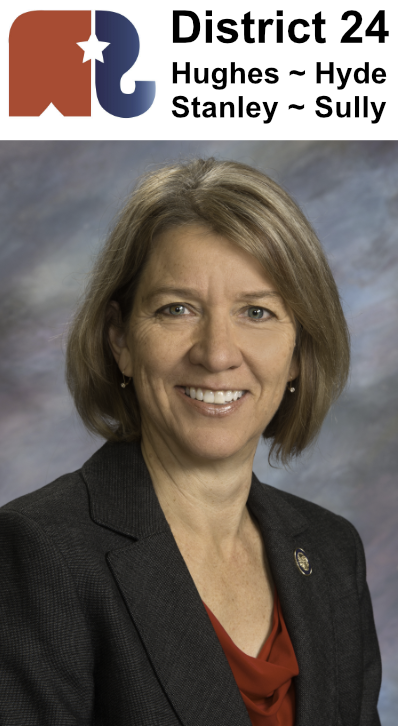 HJR1004 will be on the June ballot, and it asks voters to consider changes to Marsy’s Law to deal with unintended consequences of the measure. HJR1006 will be on the November ballot, and it asks voters whether future proposed constitutional amendments should pertain to just one subject matter. SJR1 will also be on the November ballot. If the voters pass SJR 1, a Constitutional amendment would have to be approved by a 55 percent majority, rather than a simple majority. Even as the regular legislative session was wrapping up, the Executive Board was starting to work on interim matters. The board selected two topics for study over the summer. One is access to mental health services, including a review of mental health services available in the state, how persons with mental illness are treated, the treatment options and services available for persons with mental illness, and the cost to the state and its political subdivisions. The second topic is the Extraordinary Cost Fund for Special Education. The specific issue to be addressed is the increasing need for special education and related services in the schools in our state and how to adequately fund special education in light of that increased need. One of the main concerns is that the state aid dollars currently being set aside for the extraordinary cost fund for special education are not adequate to meet the demands on that fund. In addition, the Appropriations Committee also began its interim work when it met following adjournment and considered a number of Letters of Intent. These letters do not have the force of statutory law, but they do provide policy guidance to state agencies and institutions. As during a regular legislative session, you can follow interim work online at the Legislative Research Council website: sdlegislature.gov. 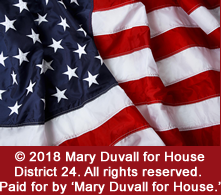 You may also contact me via email at maryduvall@midco.net.